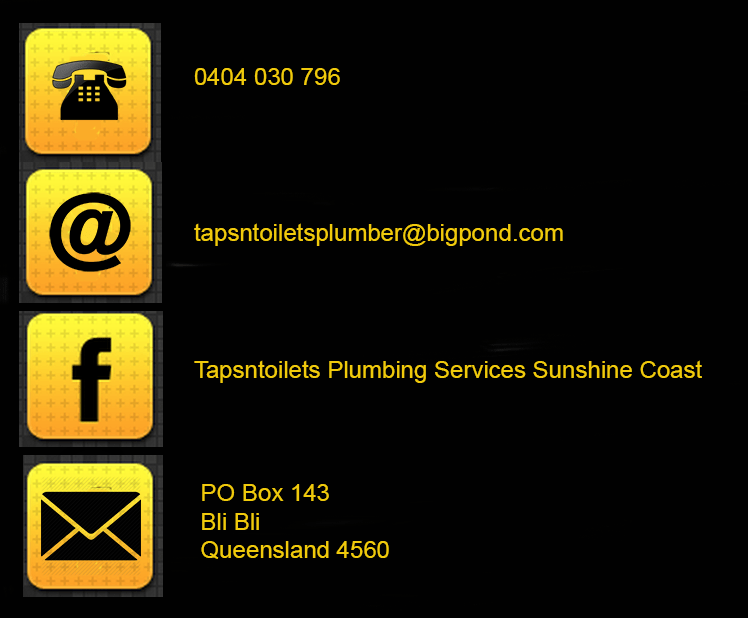 For any inquiries, quotes or general information, you may contact Jamie Younger at Tapsntoilets Plumbing Services, by one of the following methods. As Jamie is a Sunshine Coast local, and works around the area, he can offer speedy service, and can attend to your taps and toilets, plumbing emergencies. You will also find some plumbing tips here, which could be helpful while you wait for him to arrive. You can also contact us by filling in the contact form to the right, on this page.